Home » Articles » 100. Callused Feet or a Calloused Heart? 100. Callused Feet or a Calloused Heart? What do your feet look like? Do you have soft, smooth feet? Or do your feet have thicker layers on the sides and bottom? Do you have callused feet? It is a strange fact, but there really are people who don’t have any calluses under their feet at all! Their feet are smooth and soft all over, with no calluses to be found. Most people, however, do have calluses on the soles of their feet. They can be found on the edges of their heels, to the side of the smallest toe and underneath your large toe, but also in the center of the foot’s sole. It’s a sign that you don’t care enough about yourself if you don’t take care of your feet. Ask yourself about the status of your self-love. If you let calluses grow, the skin will become too hard and dry and you run the risk of it cracking. Fissures will develop. This is most certainly unpleasant and it’s better to prevent them. You can do that by taking care of your feet (or having it done for you) and taking care of the calluses. Every pedicure knows how and can also give you tips for taking care of your feet yourself. “Calluses develop by wearing the wrong kind of shoes”. It’s outdated to think that calluses develop from wearing shoes that are too tight or from constant pressure on certain areas of your foot. Foot reflexologists already know this. Calluses have a message for you. It says something about how you feel on the inside. Calluses on your feet indicate that there are emotions and events you haven’t worked through yet. You bottle them up. You carry them with you while you suppress them. It’s possible that you experienced things that you have no memory of. It’s possible that you never learned how to deal with emotions. How do you do that anyway? Release your grief by crying? Release anger by hitting? Chew away frustration? And let go, let go and… let go! Or are there other ways of doing this? Look at your feet, paying close attention to where the calluses are. Calluses on the side of the big toe indicate that you, at least for now, don’t want to receive any new impressions. You are protecting yourself. Calluses on your toes, like putting protection on them, indicate that you are receiving too many new impressions. It’s like putting a hat on your head, to protect yourself. Calluses on the heel of the foot indicate that someone is very harsh for himself/herself and that that person is insecure. And calluses in the middle of the front part of your sole, formed as a straight line from the front towards the back of the foot, indicate something about the esophagus. It means that you have swallowed too much. It might seem like a strange suggestion, but as soon as you have a pedicure remove your calluses, you also remove a layer of the trapped emotions. Each time you go to the pedicure, this process continues, even if you remove the calluses at home. You remove a bit of your armor and the emotions can surface. If you are doing the MIR-Method during the same period, you really help yourself to get the emotions out of your system. Your feet won’t need to grow calluses anymore. It’s very interesting to see how you’re doing. Do the calluses stay away or do they return? If they return, you still have more to work through. If they stay away, that’s a sign that you’ve grown and have let go of old pain! And that your self-confidence has grown and that you dare to express yourself better! Great news! How about you? I’m very curious. Where are your calluses? And if you have been doing the MIR-Method, do the calluses stay away when they’ve been removed or do they return? I’d love to hear about it! Please tell me about it below. Thank you! My wish for you is soft, cuddly feet, an expression of your cleared-up inner being! Am glad you are willing to give extra professional attention to your feet! Will be great to feel them ‘being freed’ again! The perfect solution you shared on this page with the outstanding steps to eliminating of cracks and wrinkles from the Sensitive skin of foot heal in a seven days by using the hemp seed oil daily after the washing of face completely and also remove the water with the risen of clean wipes or cloth according the period of a time after the recommendations of a doctor ,Remember you must go to a doctor one time in a week for a starting of proper treatment of eliminating wrinkles and pimples appeared on the Sensitive skin of foot due to light of sun with a red light therapy,keep it in your mind don’t work in the light of sun because the heat of sun with the particles of sun rays increase the wrinkles and cracks on the skin due to the demaged of skin layers after the working of some time you notice the color of skin become black and cracks are increased on the Sensitive skin of foot heal due to the effect of sun light . So take care of skin and avoid to work in a light of sun . you also use a mask on the face if necessary to work in the light of sun and also use carrot in the food salad . Have just washed my feet. Feel so much better emotionally, still scared I have so much bottles up. I do not expect you to publish anything from me but it’s an observation. I don’t yet know how to release the rest. Just take the time and let your body work together with your subconscious. Trust the self healing capacity of your body. You have already noticed changes, I read in another comment. Many more will follow. Give it time. Thank you. I have never in my life had callouses/cracks on my feet even when I walked barefoot lot, till I started to live/stay with my mother and I have developed massive callouses and cracks in my heels. I have been doing the MIR for nearly two weeks. The information you share is so full of wisdom. Thank you for your kind words. It is important to observe what changes you noticed when you started to live with your mother. Did you feel enough space and safety? It may have triggered old emotions from the past. The good news is that you can give peace to those emotions, using the MIR-Method. Just continu doing it. I have just seen that you replied to my earlier posts. And yes the cracked heels only started when I started to be at my mother’s…. I have been filing them off again. I felt no peace and no safety here. I have started mir again. I completely agree with the idea i swallowed too much. But at the moment i don’ t anymore. I am very glad to read that you are so much stronger now! Did you grow stronger by yourself or did the MIR-Method help you with it? Interesting thought. I swallow too much. True. Very true. I’ve only been using the MIR method for three days. So far I have felt nauseous. There’s a lot I need to deal with, I am working with an EFT practitioner and that’s helping too. I have lots to learn. And so do we all! Everybody learns a great deal during his life. It’s wonderful that you are open to the fact that it helps you to learn about yourself! Keep going, you’re doing great! J’aimerai bien avoir la traduction de tout ce site ! I am a serious hiker/mountain climber and calluses are a natural and important part of the sport. WHen I rock climb a lot I get them on my hands and they are quite necessary and helpful. In this case, I’m not sure what to do because it isn’t always beneficial to remove my calluses. No, you are absolutely right. When you actually NEED the callouses, then do not worry about them and keep them in place. Same goes with people who use certain tools and get callouses on their hands. They need to keep them there to protect there skin. 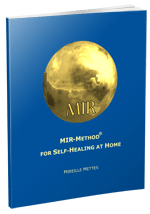 When you do the MIR-Method the callouses that are no longer necessary will leave your skin. You can trust your subconscious to find the right way. Greetings and good luck rock climbing!